With real estate prices in Charleston climbing over the last few years, you may be wondering what your home is really worth. Whether it’s time to downsize, upsize, get a change of scenery, or refinance, having an idea of the equity in your home can help you make good financial decisions. Getting a home value is a little tricky. You can use an online calculator, but the estimates can vary – sometimes wildly. You can pay $300 – $500 for an appraisal, which will give you a good value if you want to refinance. If you’re selling, ultimately, your home is worth whatever someone is willing to pay for it when you put it on the market. There is no shortage of online calculators that will instantly estimate your home’s value. But are they accurate, and how do they work? How Do Online Calculators Work? Online calculators are different, depending on the algorithm. Most base an estimate on recent assessed value, recent sales of similar homes or homes in the neighborhood. The caveat is the data can be wrong (or old), and doesn’t take into account recent renovations or other factors an appraiser (or buyer) would see. Online calculators can only give you an estimate of what your home is really worth. A friend had just had his Mount Pleasant home appraised (in an effort to ditch PMI), so we had the basis for a good experiment. First, we entered his address into seven online real estate calculators. Interestingly, the calculators had a $50,000 variance between the highest value ($554,700) and the lowest ($499,246), That’s a pretty big swing when you’re talking about real money. Next we looked up records of all the homes that had sold in his neighborhood in the last six months and used the price-per-square-foot method to determine value. We came up with the lowest value yet – $475,000. The three methods above are based on data, and only on data. Our real estate agent took three other things into consideration when she gave her estimate: She knew the home had been renovated from top to bottom, including an incredible new master bathroom. She also took into consideration that his home has lovely views of the marsh – something other houses that recently sold didn’t have. She estimated the home would appraise around $550,000, but could likely sell (and appraise) for as much as $10,000 more. The appraiser took into consideration all of the same data that online calculators did, plus the renovations. The great view caused him to look at data from other homes in the neighborhood that had similar views that had sold. With one comp coming in at $600,000, the appraiser said our friend’s home was worth $565,000. Now, because our friend isn’t actually selling we don’t know what buyers would say his home is worth. However, because he got an appraisal he could confidently put his house on the market at that price and expect to negotiate (or not) from there. 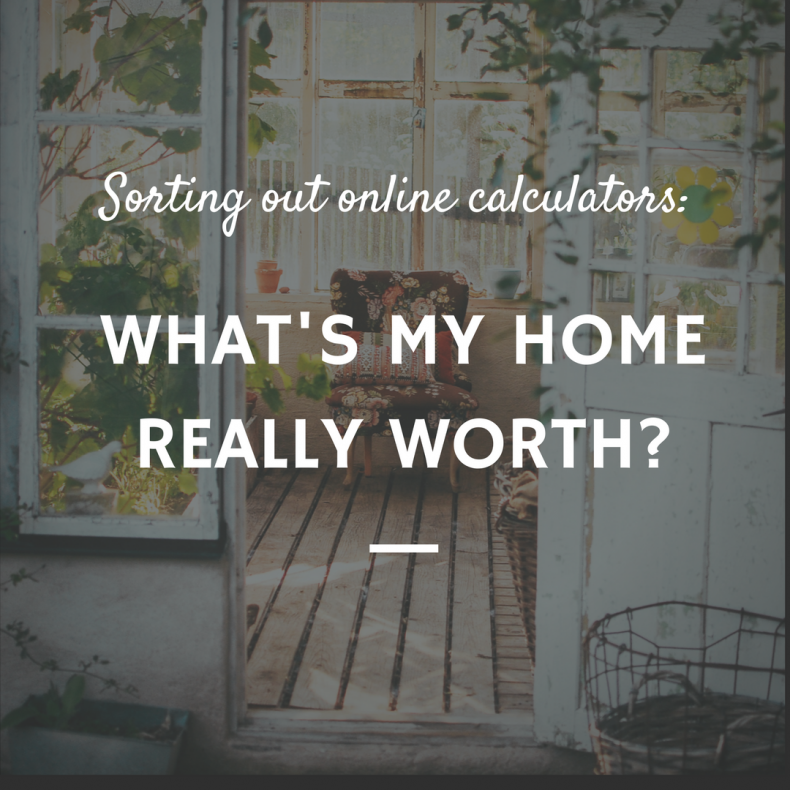 When you’re selling your home, using an online calculator is a good way to gauge a range of values. However, to get closer to the mark, listen to your real estate agent – or invest in an appraisal. Read: Is it Time to Downsize?